We provide students with the knowledge and tools of history. History is our collective memory, an understanding of our heritage, of who we are and how we came to be. The history major not only provides students with the knowledge and tools of history, but also provides a sense of roots, as well as a broader perspective on the diverse regions and peoples of the world. Training in history teaches students how to think, how to analyze different kinds of problems, and is solid training for such careers as teaching, law, business, historic preservation, or museums. The history major at Chapman University provides students with the knowledge and tools of history, but also provides a sense of roots, and a broader perspective on the diverse regions and peoples of the world. The BA in history teaches students how to think, how to engage in historical inquiry, research, and analysis; explore competing historical and theoretical viewpoints that provide perspective on the past; develop excellent verbal and written communication skills; master digital literacy; and refine collaborative work skills. What makes Chapman’s History Department unique? An award-winning undergraduate student online journal; best history honors society in the nation for the last eight years; opportunities for research travel to cities around the world including Washington D.C., London, and Beijing; access to an extensive manuscript collection of previously unpublished war letters from every American conflicts; and a 4+1 War & Society program allowing students to begin taking MA coursework their senior year and receive an MA in War & Society degree within one year of finishing their undergraduate studies. 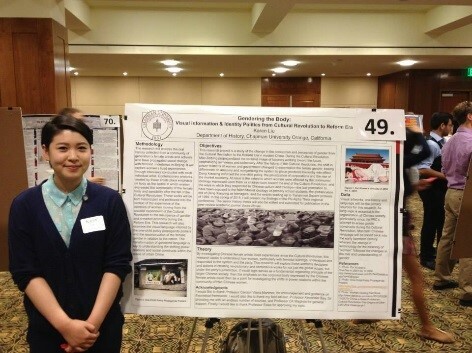 These are just some examples of how our majors are not just studying history – they are making it! All History Majors take the following classes, in addition to 4-100 level classes, 3-200 level classes, and 4-300 level classes of their choice. This junior-level course introduces students to the philosophy of history and historical thought, historical methodology, and the craft of doing history. This year-long sequence during the senior year serves as the capstone experience for the History major. The central project is a major, original research paper that students will present at the Phi Alpha Theta Regional History conference and publish in Voces Novae, the department’s on-line history journal. 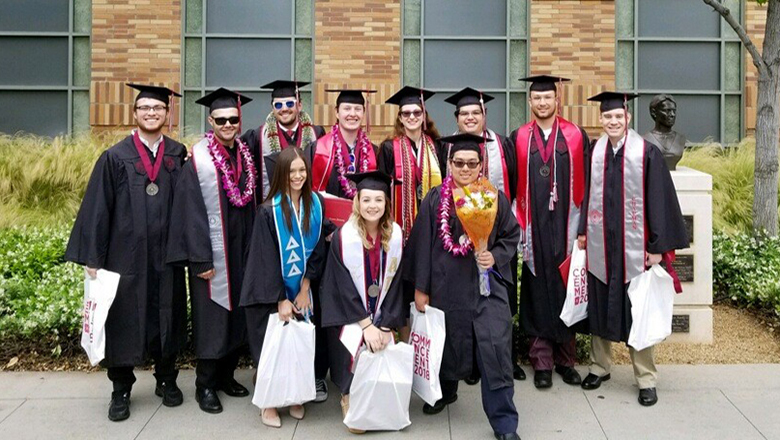 History majors consistently research and write award winning senior theses that have won more than 25 Phi Alpha Theta (History Honors Society) regional awards as well as national undergraduate awards. The minor includes study of the origins and history of the Holocaust within the context of European history and an exploration of the central themes and topics in current Holocaust research. In support of their classroom learning, students may participate in extracurricular opportunities through the Rodgers Center for Holocaust Education lecture series. The series allows students to learn first-hand from extraordinary survivors and world-renowned scholars. Check out the catalog for more information. A minor in history requires a total of 21 credits in history with at least 12 upper-division credits. Students who wish to design a minor in a particular emphasis should speak with an advisor in the history department. Check out the catalog for more information. 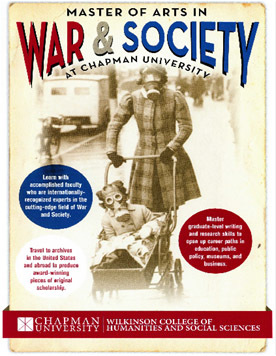 Master of Arts Program in War and Society at Chapman University educates graduate-level students in the field of war and society by rigorously examining the social, cultural, political, and moral aspects of how societies go to war, experience war, and deal with war’s consequences.